There have been heaps of great fan posters for Captain America: The First Avenger, like here and here, but as the official one, I think this actually holds it's ground pretty durn nicely. I thought it was pretty sweet too. One of the best movie posters I've seen in a long time. And with all the naysayers about the new uniform, I didn't see one negative comment this afternoon on 5 different sites that posted it. All were pretty much of the same mind as us. Blown away. the poster is fine but right now i'm just not feelin it when it comes to this movie. i'm getting FF 1 & 2 flash backs. and it's not because of Chris Evans either. he was pretty good in the movie PUSH. I am just shutting my ears to any critic or opinion until i see the movie. As far as costume, it seems there is always an issue with it in any super hero adaptation movie. They always seem to go the other way round that fans do not like. At least the Cap uniform is wayyy better than the set photos of the new Spiderman. But aside from the costume issue, i have high hopes for this movie,because if Marvel really mess it up, like i said before it will affect the Avengers movie which i cant imagine how terrible it will be. Yeah - I mean I think for the post part folks are worried Evans won't have that starch and authority that fans associate with Cap. This poster I think was the first image released that shows he just might and it's not a case of Robin running around in Batman's trousers. 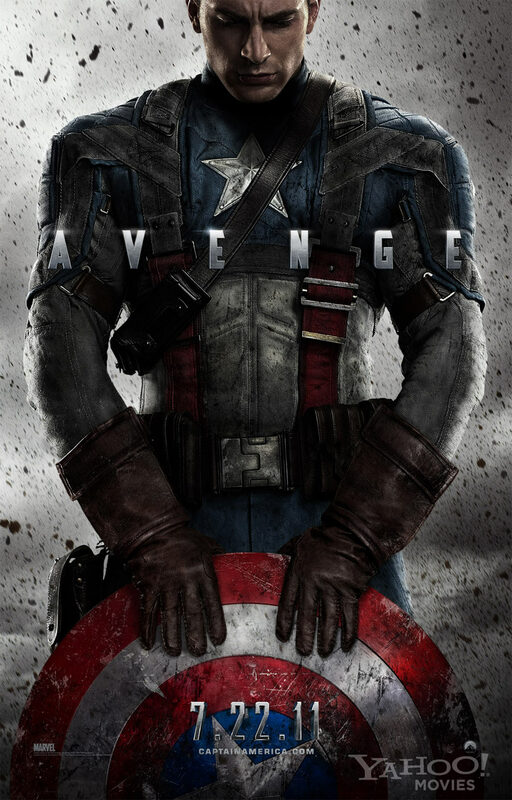 I like this new costume, it has more of a soldier / skydiver look to it, and still says 'Cap'. As one of my favourite Marvel characters by a country mile - I'm really hoping for a great Cap film. You are right Aliera! I also thought X-Men going the leather option missed the perfect opportunity for mohawk Storm. Always thought she looked better like that! I like Ororo's flowing white hair. But any way on the first movie Halle Berry with bangs and looking so scared, didn't felt very Storm to me. She was much better on on Third one. Storm was a hard role to cast outside of Angela Bassett - she is such a natural for that role. I would've got down on my hands and knees and begged if I was the casting agent that approached her... it would've been awesome.